After the initial launch of the Xoom tablet on Verizon Wireless earlier this year, Motorola has finally announced pricing and availability for a WiFi only model. The original 4G upgradeable version has been criticized for an expensive $800 price point with no cheaper iterations. Although Verizon Wireless makes a subsidized $600 option available, it requires a two-year contract. According to Motorola, a 32 GB model will sell for a suggested retail price of $599 on March 27th. Amazon, Best Buy, Costco, RadioShack, Sam’s Club, Staples, and Walmart will carry the device. 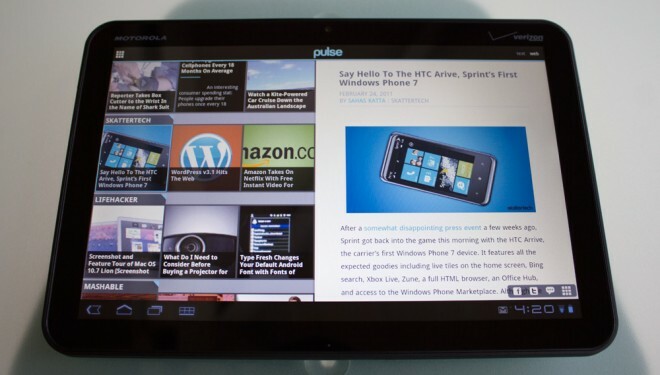 Being the only available Android 3.0 Honeycomb tablet on the market, a more affordable contract-free model my garner more interest, but it’s hard to tell whether the Xoom will get any attention due to a late launch following Apple’s sell-out iPad 2 tablet. Although the new price is definitely an upgrade, it is still $100 higher than the starting price for the Apple iPad 2. However, keep in mind that this upcoming Xoom packs 32 GB of storage, which perfectly matches the $599 price of the WiFi-only 32 GB iPad 2. Unfortunately, the lower cost of entry into the tablet world is often a higher priority for consumers over extra storage space. I am confident that the 16 GB iPad 2 was Apple’s best-selling model. So here is the big question, would you consider the WiFi-only 32 GB Xoom now that the date and price is known? For those wondering, Adobe Flash is on its way this week, but still no word on a software update to enable the microSD card reader. For a hardware specs breakdown, I would also suggest scrolling through our infographic which lines the Xoom up with the Streak 7 and BlackBerry PlayBook. 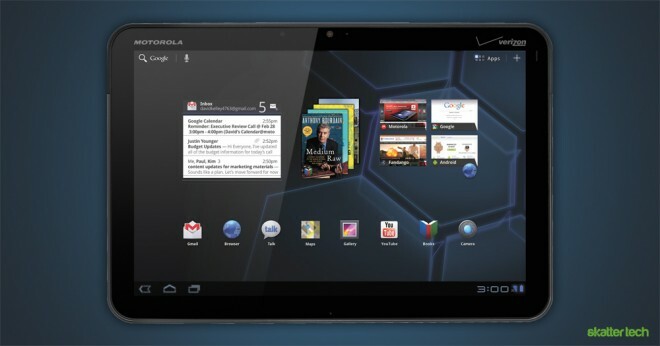 The new Motorola Wi-Fi is a great looking and has a very big screen.